The NYC Administration for Children Services (ACS) is the division charged with children’s welfare, juvenile justice and education in New York. It is responsible for protecting and promoting the well-being of children and families throughout the state, including placing children in loving foster care homes and ensuring children are grow up free from abuse and neglect. Needless to say, the future of many of NYC’s children lies in the hands of the ACS. Unfortunately, that future isn’t always bright. For years, the ACS has been criticized for its inability to prevent child abuse and negligence-related tragedies. The agency that is charged with protecting New York’s children has been accused of failing to address the needs of those children, failing to thoroughly investigate reports of endangerment and violence, as well as failing to follow up with prior abuse cases. Communication between the ACS and the New York Police Department (NYPD) is poor, preventing police from making child abuse arrests from lack of ACS evidence or from the sheer fact the department has no idea whether a specific home has been investigated for child mistreatment. At the same time, the NYC ACS has been known to investigate cases of potential abuse and neglect that were false. As a result, the agency has taken countless children away from their parents, only to place them in truly despicable living situations with foster parents that may beat, sexually abuse and starve them. Thousands of children have already suffered abusive treatment, and many have even died following mistreatment. These tragedies must come to an end. If the ACS has attempted or succeeded at terminating your parental rights, or if your child or a child in your family has suffered abuse under the care of the ACS, it’s time to seek legal help. The Law Offices of Elliot Green have represented countless families in Brooklyn, Queens and Staten Island, NY who have been adversely affected by the ACS and its failure to protect children under its care. As an experienced ACS lawyer and family man himself, Mr. Green does not tolerate child mistreatment. With fervent passion for the rights of parents and the rights of children to be kept safe from harm, Mr. Green has helped hundreds of families obtain justice for the agency’s wrongdoings and will help you obtain justice following the abuse, injury or death of a child in your family. We strive to protect children from abuse and from subjection to mistreatment. Let us help you and your family obtain justice today. There’s nothing more frightening for a parent than having their child taken from them – especially if the action is without merit. Unfortunately, the ACS has baselessly accused parents of harming their children without sufficient evidence in thousands of cases. What’s worse, several children have suffered severe abuse and violent treatment while under the care of the ACS, and many of their cases have never even seen the light of day. In the past year alone, the ACS handled 60,998 abuse calls to the state hotline. If that figure seems appalling, the statistics regarding ACS negligence are much more grim. 44 children whose families had some contact with the ACS died. 4 deaths were ruled homicide; 15 autopsies are STILL pending. 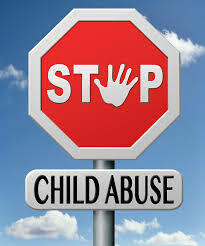 Several children were abused or killed after the ACS specifically placed children with stepparents or in foster homes. In 2011, a welfare worker and supervisor were arrested following the death of a 4-year-old child. The worker, Damon Adams, was also charged with falsifying records and with lying about visiting the child’s home. The supervisor, Chereece Bell, was accused of failing to monitor Adams. Both resigned and pleaded not guilty. New York already has one of the highest crime rates in the nation, so how can an agency responsible for the safety and well-being of children allow such horrific incidents to ensue? Whether you had your child taken from you or have had a child in your family suffer injuries or even death due to ACS negligence, it’s important to retain the help of an experienced Administration for Children Services attorney who knows these statistics inside and out and who will not rest until the ACS is held responsible for their actions. Elliot Green has dedicated his life to serving and protecting families in New York. Upon graduating from law school, Mr. Green immediately began prosecuted child abuse and negligence cases for the ACS, so he knows how the agency works and how to defend your rights. He has conducted over three hundred trials and hearings in Family Court and will represent you with the integrity and diligence of an attorney, and with the passion and empathy of a father. The ACS has failed to properly investigate and follow through with hundreds of child abuse and neglect cases, despite the fact that reports of previous violence or harm have been made. For whatever reasons may be, case workers have often lied on their reports, have failed to investigate reports of abuse, have placed children in dangerous foster homes, and have refused to contact police to report severe cases of child endangerment. Statistics already show that as a result of ACS negligence in properly investigating and handling cases, 44 children were killed in the past five years, and thousands of others were injured or put on the brink of death – not to mention the severe mental and emotional trauma they have been subjected to. Whether you have had your child taken from you by the ACS unwillingly, placed a child up for adoption with the ACS in good faith, only to have that child be placed in an abusive home, or have had a child in your family suffer harm while in the ACS’s care, contact the Law Offices of Elliot Green today to schedule a consultation. Mr. Green has successfully represented hundreds of families in Brooklyn, Queens and Staten Island with NYC ACS cases and will do everything possible to help you and your child obtain the justice you deserve. Call us today to get started on your case right away.